Keywords: girl clip art, Christmas clip art, nutcracker clip art, bowl clip art, Christmas cookies clip art, digital scrapbooking art, digital scrapbooking downloads, Christmas graphics, This collection of adorable and whimsical graphics is perfect for all your Christmas project needs. 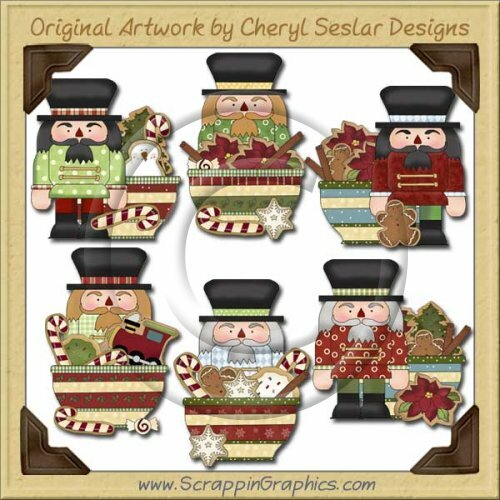 This set includes 6 different art clip art graphics of a nutcrackers along side bowls filled with Christmas cookies. Great collection for making scrapbook pages, cards, labels, tags, invitations, and other printables.